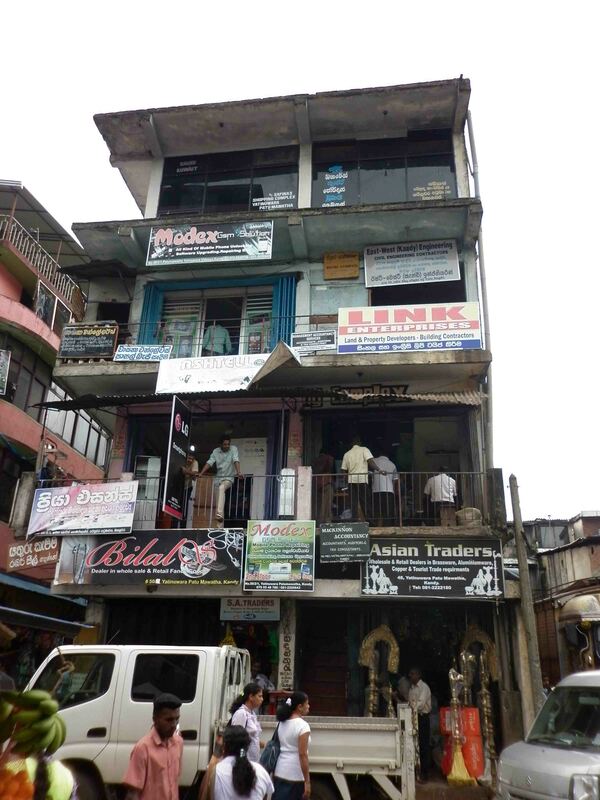 I’m headed back to Sri Lanka in March, so time for a little, gentle reminiscing about my first town in the country. I didn’t fly in I should point out, I flew into the Negombo Airport which services Colombo, however the guesthouse I was staying organised a taxi for my wife and I all the way to Kandy straight off the plane, which worked really well. We arrived at night, so didn’t get much of a sense of our new surrounds until the next morning. 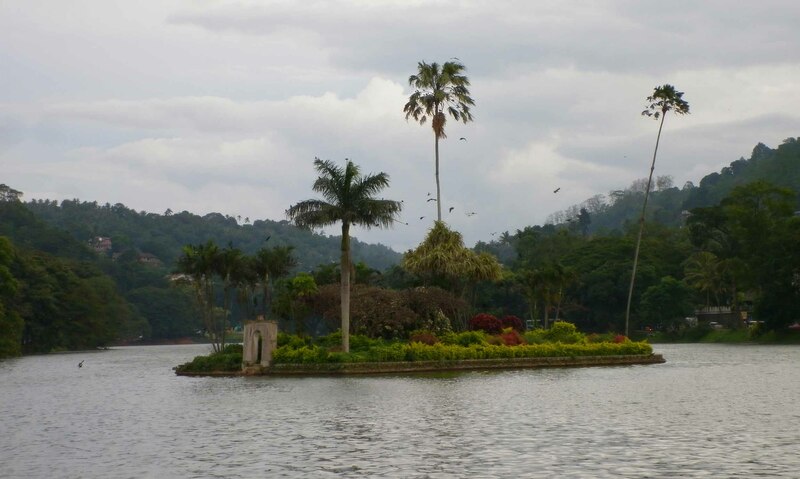 Kandy is a pretty town – it’s set on a gorgeous lake. Wikipedia gives the population at around 125,000. Which would be the central area I guess. It really bustles, but compared to Colombo it’s much easier to cope with, to ease into Sri Lanka in. Which is why it’s a great town for a ‘first taste’ of a country. And that’s what I like. Landing in Delhi is, for the first timer to India, absolute mayhem. And that might be your thing. 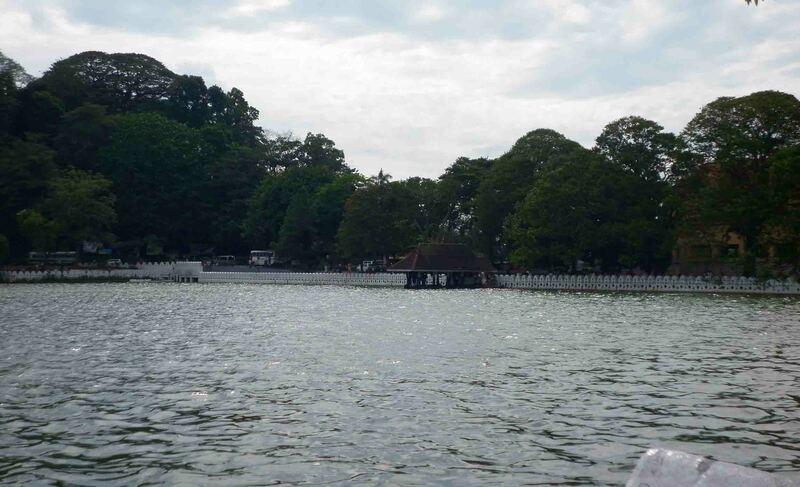 Kandy is not a quiet, serene spot on a lake, the Bogambara Lake, it bustles, there’s plenty going on. However it’s not dialled up very high. 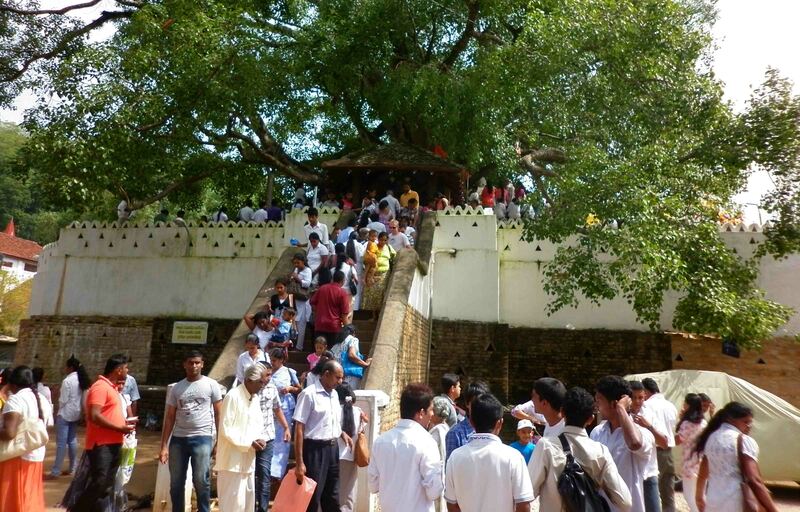 Inside the temple of the tooth, crowds are serious crowds! There are crowds – especially when it’s festival time. 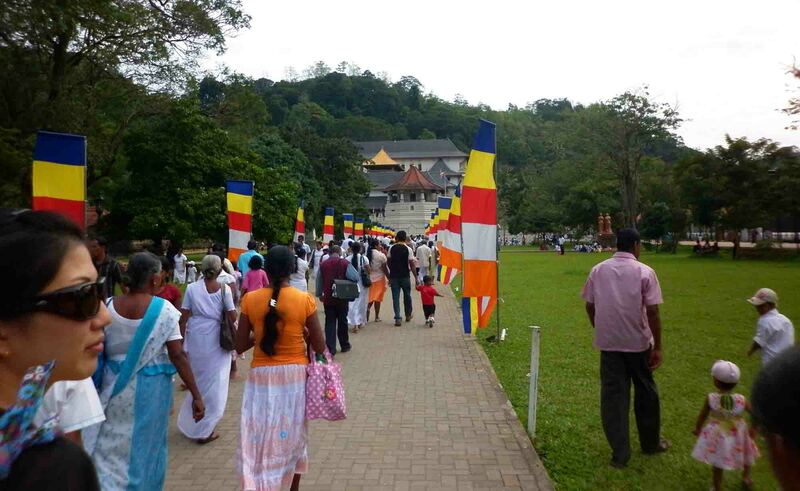 The Temple of the Tooth is a famous temple in Kandy that people flock to. It’s supposed to hold a tooth of one of the Buddhas. When I was there it was festival time, and there was a line outside the temple to get in, which happened very slowly over around forty-five minutes. 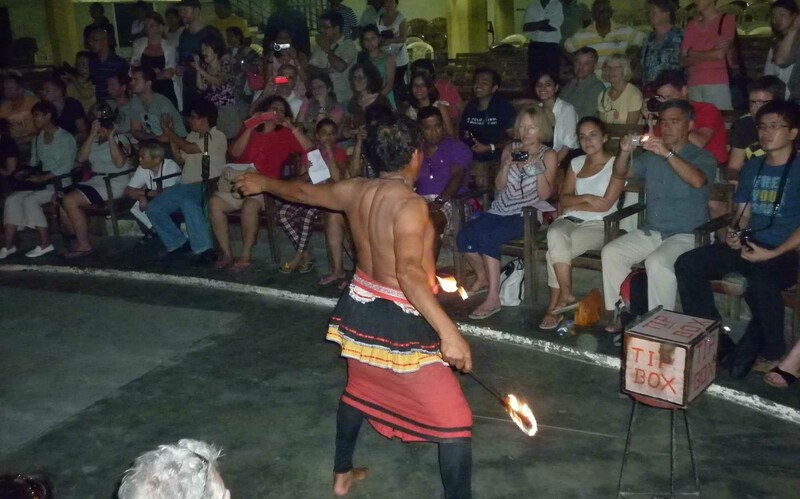 We also saw great cultural show on the second night we were there, and visited Ceylon Tea Museum which was a short local bus ride out of town. 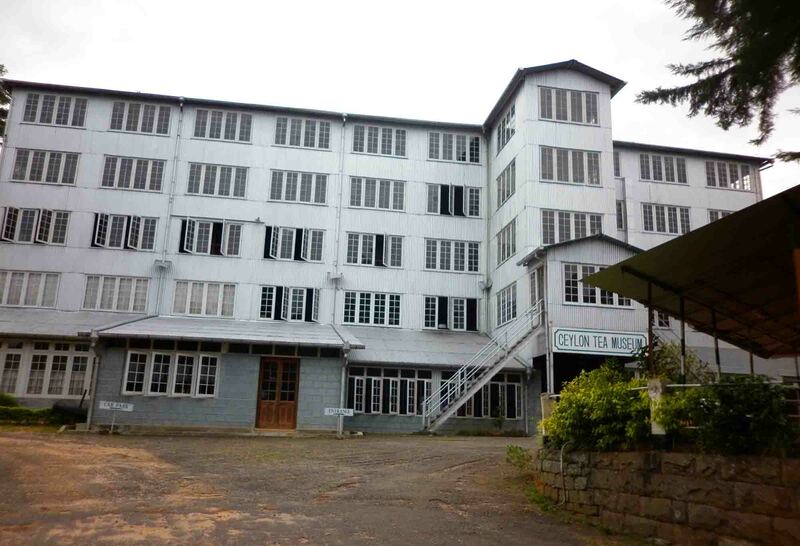 Beautiful old building, shows you how tea is dried out, prepared etc. 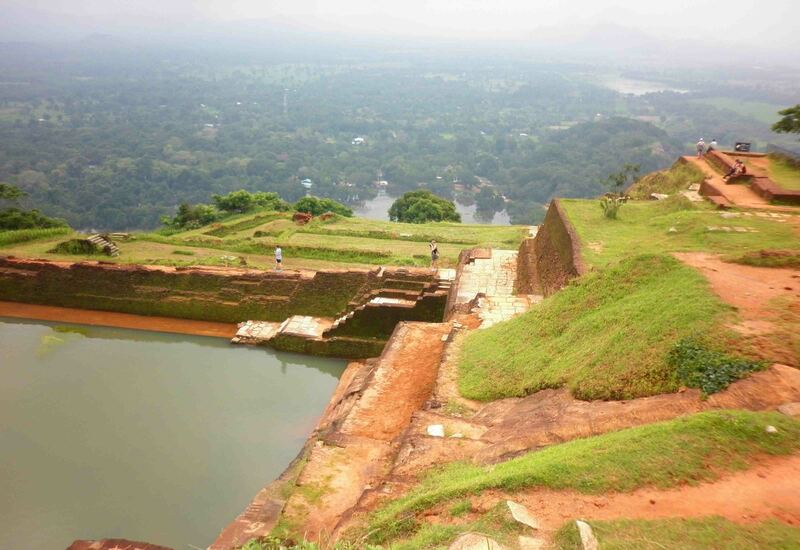 View across from the Lion’s Rock, Sigiriya. 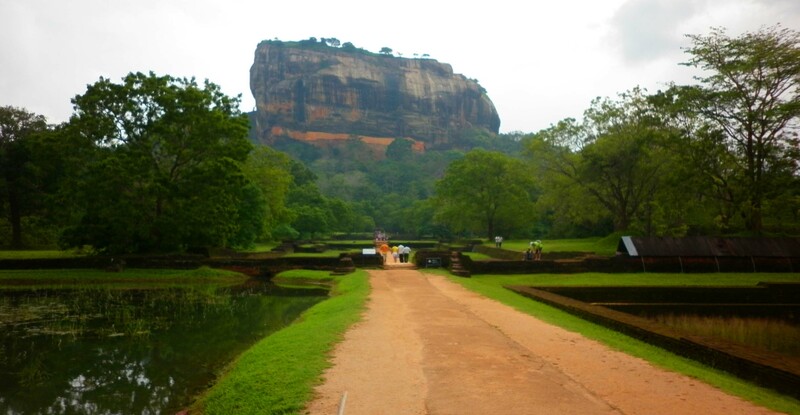 And then you can get a day tour to places in the area, such as the incredible Lion’s Rock at Sigiriya. We organised a driver for the day and got to see a bunch of stuff and climb the Lion’s Rock. If you want to go to the north of Sri Lanka, then you’re in a reasonable position. 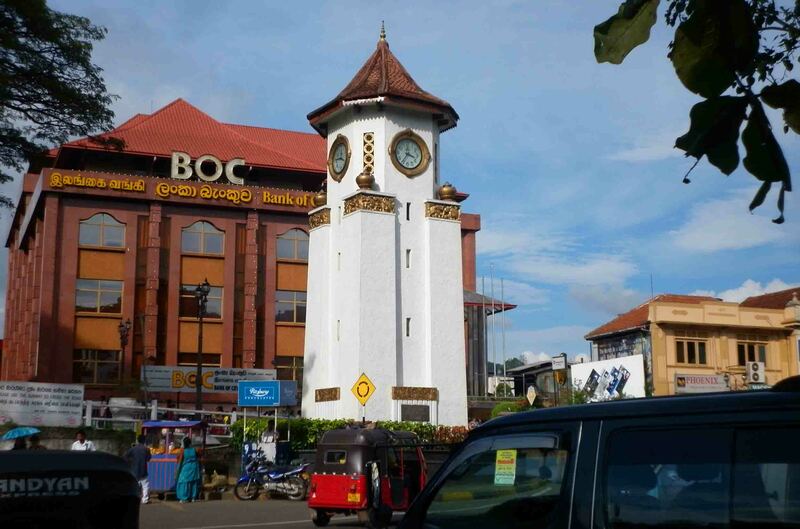 You’re around 3 or 4 hours from Colombo and access to the south, and Kandy is also the launching pad for the high country which has Nuwara Eliya, Adam’s Peak and more – which I should get the chance to explore at the end of March. So all in all, I have to give two thumbs up for Kandy as a ‘first taste’. 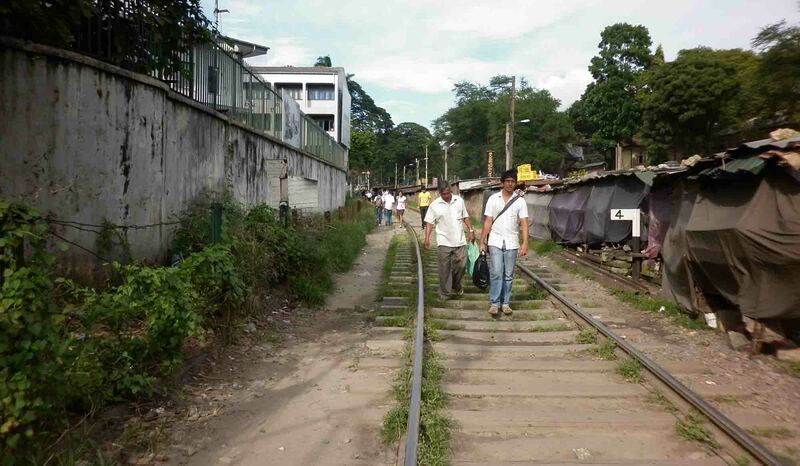 I can’t say I saw much of Colombo, the capital, but the station was busy as, and it’s far far bigger. 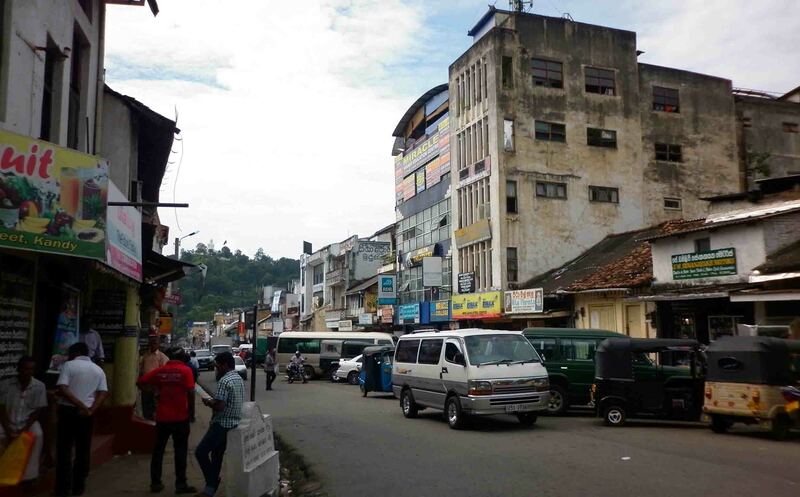 If you arrive in Sri Lanka and get a taxi or other transport to Kandy, it’s really a great place to start your Sri Lankan adventure! May the Journey Never End! 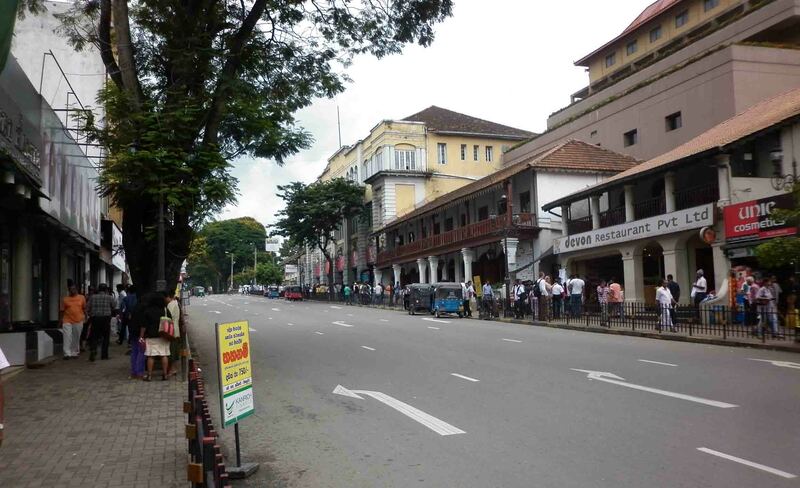 I really liked Kandy when I was there – lovely spot. 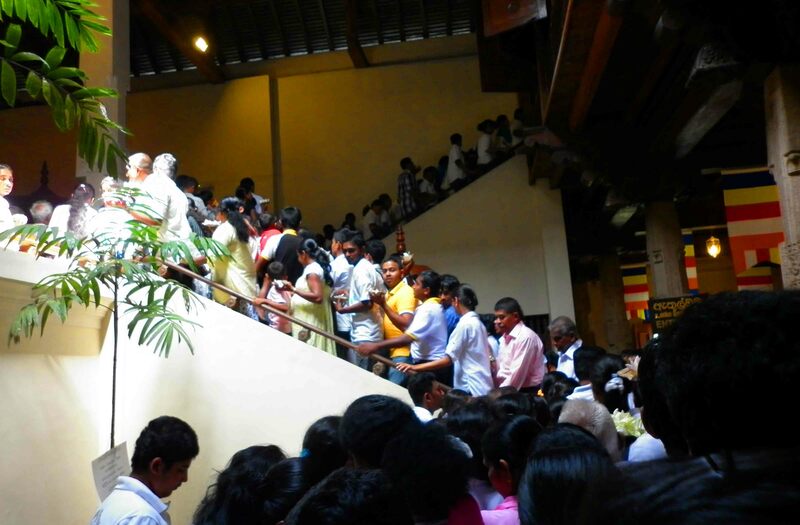 It seems a lot of people head directly from Negombo airport to Kandy – they’re not missing a whole lot in Colombo.